In recent weeks I’ve been watching the political and real battles between Russia and Georgia with horrified fascination, seeing parallels with another former Soviet state, Moldova. This small nation, which gained its independence in 1991, is sandwiched between Romania and Ukraine, and has its own self-declared breakaway region in Transnistria. I’ve had a close interest in Moldova for several years now, and it too has seen conflicts with Russia, though luckily for Moldova, it’s been her wines, not tanks, that have been the weapon of war. Moldova’s battles with Russia may have been less bloody than in Georgia, but still there’s been a devastating war of economic attrition apparently aimed at keeping Moldova close to heel. Moldova’s wine industry seems to have borne the brunt of these measures, probably because the industry is the most economically critical of any country in the world. An estimated quarter of households are employed in the industry or related fields, and wine accounted for 28% of all export revenues in 2005, making it Moldova’s most valuable commodity, after her ex-pat workers. The problem for Moldova was that it had all its vinous eggs in one metaphorical basket, and sold around 85% of its exports to Russia. In March 2006, Russia imposed a total ban on Moldovan wine, based on claims of contamination by pesticides and heavy metals. It appears that no documentary evidence has ever been produced, and in any case, many of Moldova’s grape growers were too poor to pay for agrochemicals. The timing of the ban also happened to coincide with disputes with Russia over border controls with Transnistria, according to ministerial sources. The ban financially devastating, with losses officially reaching 180 million dollars in a country that was already Europe’s poorest. Most wineries laid off staff and struggled to find the money to buy grapes, with numerous reports of bankruptcies. However, having seen and, unfortunately tasted (complete with every fault in the winemaking book), some of the wine that was typically being sold to Russia, it was clear that this was a problem waiting to happen. Much of the wine Moldova was selling to Russia was poor quality, sold purely on price with inevitable cutting of corners. The local taste in this part of the world is for semi-sweet wines, often fortified and pasteurized, and also made from hybrids like Isabella and Lidia with their weirdly perfumed stickiness. 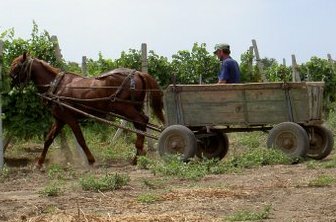 Left, this is still typical vineyard transport in Moldova. However, tastes are changing, even in Russia, with increasing exposure to imports from South America, Spain and Australia, and Moldova was inevitably going to have to deal with this at some point. Moldova has every incentive to learn from this crisis and get it right. After all it has over 100,000ha in commercial production (more than its better known neighbours of Romania, Bulgaria and Hungary) and both soils and climate that can deliver bright, interesting modern wines. Understanding the political and economic background to wine here is vital in grasping the magnitude of the leap forward that the country’s leading wineries have made, and the attitudes that they have had to overcome. 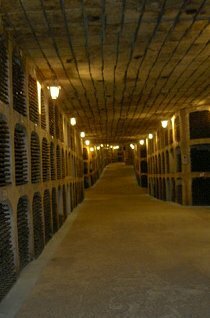 Acorex Wine Holding was the first winery to see the potential in bringing consultants from Italy, and have sold their wines in UK through Direct Wines/Laithwaites for many years now. There’s zesty crisp Sauvignon and intensely mineral Pinot Grigio, under the Albastrele label and a stylish pure Chardonnay bottle-fermented fizz called “Cuvee Aleksandr”. Acorex have also developed a smart new brand called “Taking root” reflecting Moldova’s richly fertile soils. In spite of the quality of the wines and a fair price of around a fiver, it has so far failed to find listings in UK as buyers here seem stuck with the attitude that Eastern European wines must be ultra-cheap. Another company that saw the light early on is DK-Intertrade. Their winery at Vulcanesti in the far south of the country is as well-equipped as any New World winery, and Angela Muir MW has been consulting since 2003 to help them make the most of it. The result is the Firebird Legend range whose vibrantly fruity, deep pink Merlot Rosé is sold through Waitrose, along with a gently spicy Pinot Grigio and blackcurranty Cabernet. Unfortunately there’s little other presence for Moldova over here, though there are exciting wines worthy of a wider audience, and some unique grapes like Rara Neagra (right). 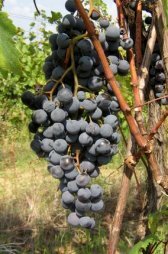 This black grape is key ingredient in the blend for the legendary Negru de Purcari, which has recently been revived by Vinaria Purcari, whose 10 million Euro investment includes renovating the oldest cellar in Moldova. Costia Stratan at Dionysos-Mereni, makes a pure Rara Neagra from old vines that’s a revelation for its velvety texture and scents of fruits of the forest. Stratan also revived the pre-war tradition of ice wine, making a gorgeous Riesling Ice Wine called Brumariu (meaning hoar frost), though the limited volumes sell out locally. Another producer of impressive sweet wine is the young German-trained winemaker at Chateau Vartely. His Muscat ice wine is simply luscious, while his dry whites especially local Feteasca are worth a look too. Moldova’s leading wineries are all fairly large scale, at least by European standards, and it’s encouraging to see them getting their act together. However, in other countries it’s often the small garage operations that lead the way as the passion and flexibility of individuals can set new standards. 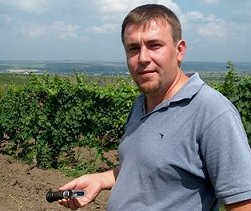 In Moldova, there are only a very few souls who have braved the 150,000 pages of wine regulations to strike out on their own, including both Stratan (pictured left) with his own personal vineyard (his first release is named Equinox) and French-trained oenologist Gheorghe Arpentin. Again, both make wines that are only sold locally but early tastings, from still young vines, show plenty of promise. In the meantime, we can all do a little bit to help Moldova reduce its reliance on Russia by raising a glass of Moldovan wine.